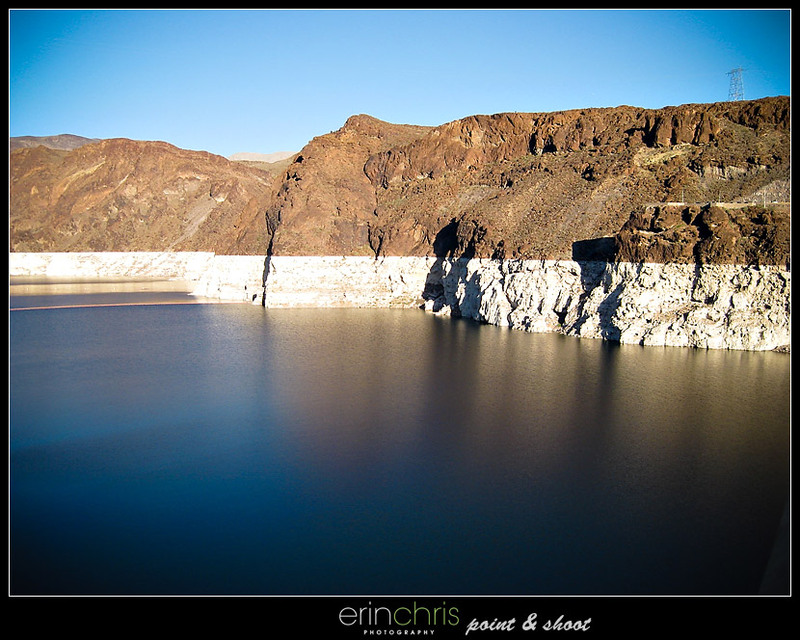 The next big part of our trip was the time we spent in Vegas for WPPI. It was great seeing so many friends from all over the country, and meeting new ones. It is pretty sad that we had to go across the country to see some friends from Florida. 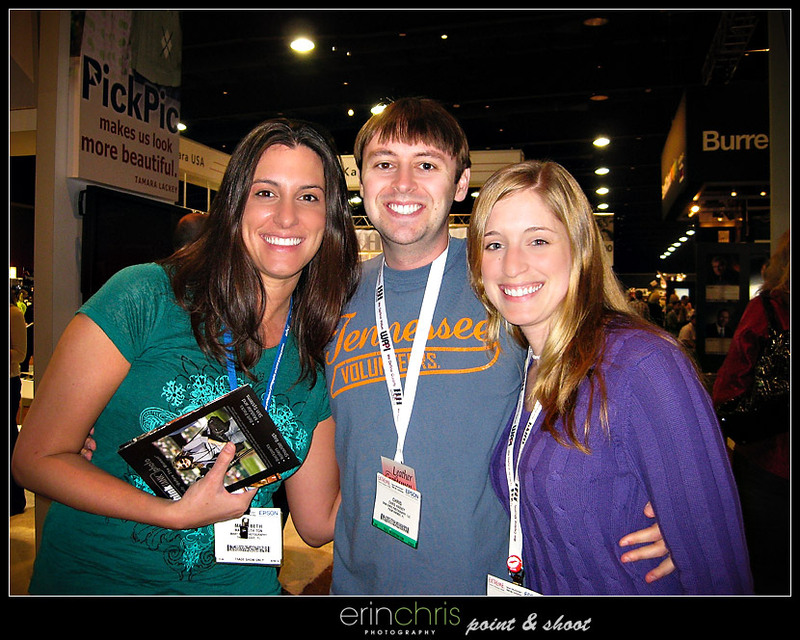 Here are Chris and I at the trade show with our friend Mary Beth Tyson who is an amazing wedding photographer in Tallahassee. 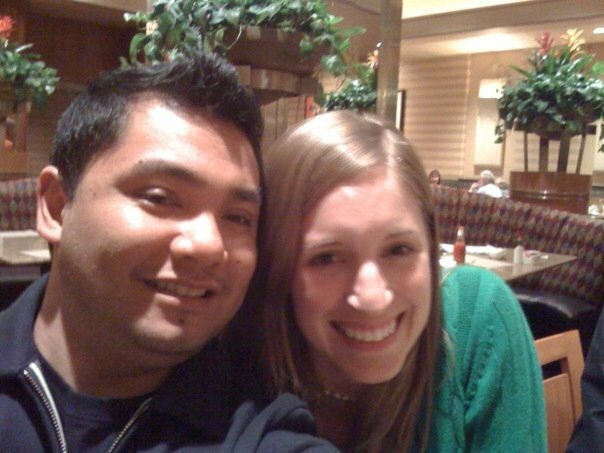 It's always great when we get to see DC wedding photographer and good friend Armin! Check out his blog for more pictures and videos. One night Celebrity Photographers, Bob & Dawn Davis organized a night shoot with a few models. This was one of my favorites of the night. I didn't bring a flash with me, but luckily someone had a video light that worked really well for off camera light. 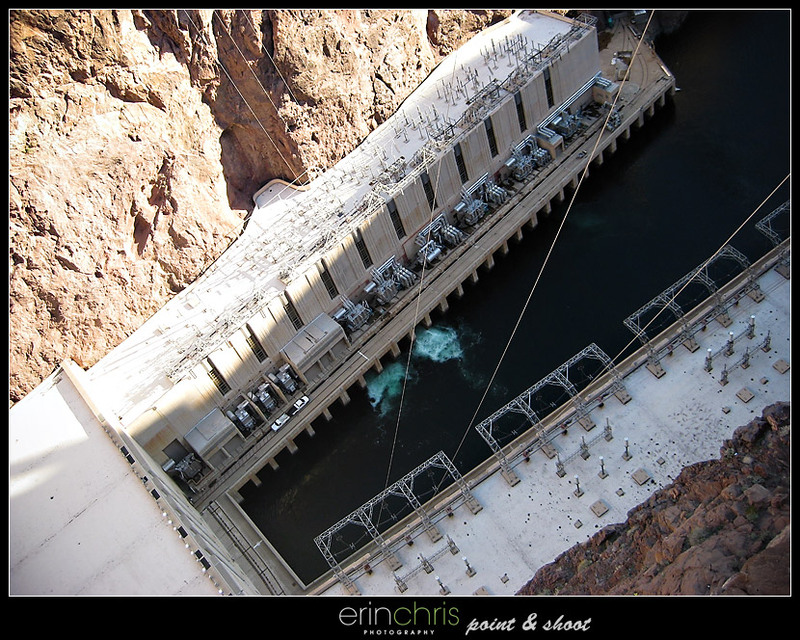 Another place we went that is fairly close to Vegas, was the Hoover Dam. 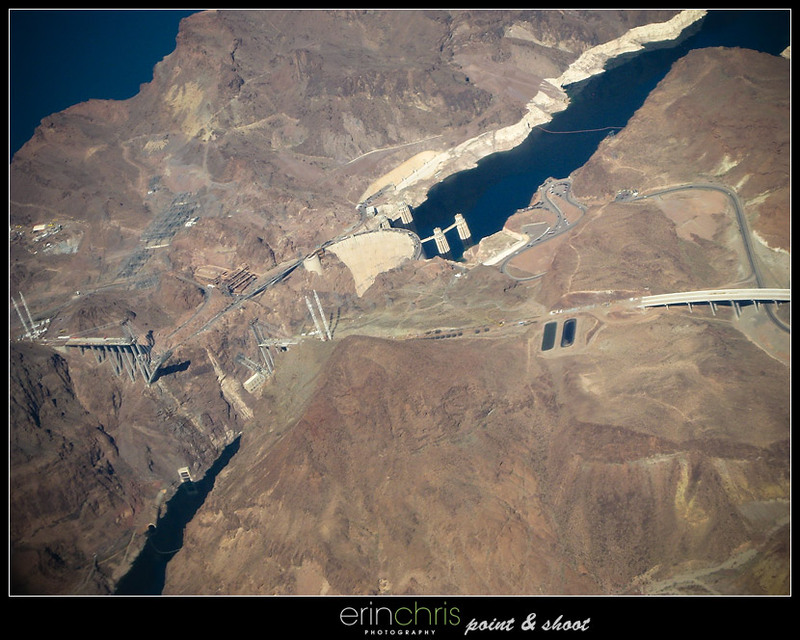 We saw it from the plane as we flew in, but it was even more amazing when we got there. 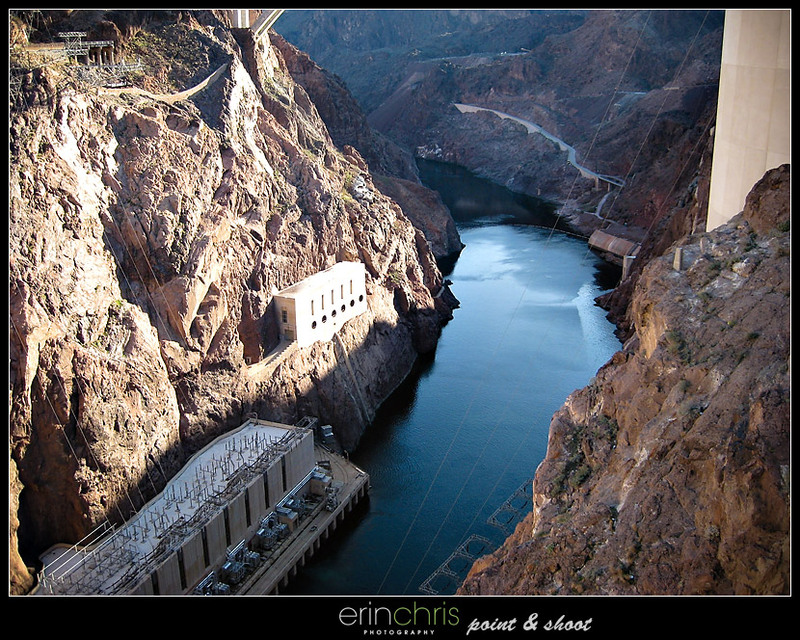 As we got close to the dam, the scenery was gorgeous. 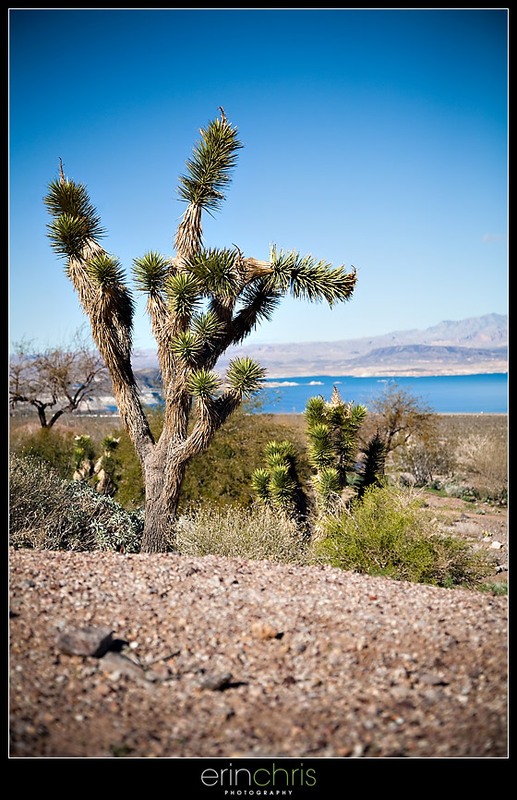 Here is another fun tree with Lake Meade in the distance. The lake had the bluest water I've ever seen. This was the view from the plane. Looking down to the bottom of the dam. The river at the outlet of the dam. They're building a new highway that goes over the gorge. It is really amazing to see all the cranes and cables that are involved with it. Looking to the north, toward Lake Meade. 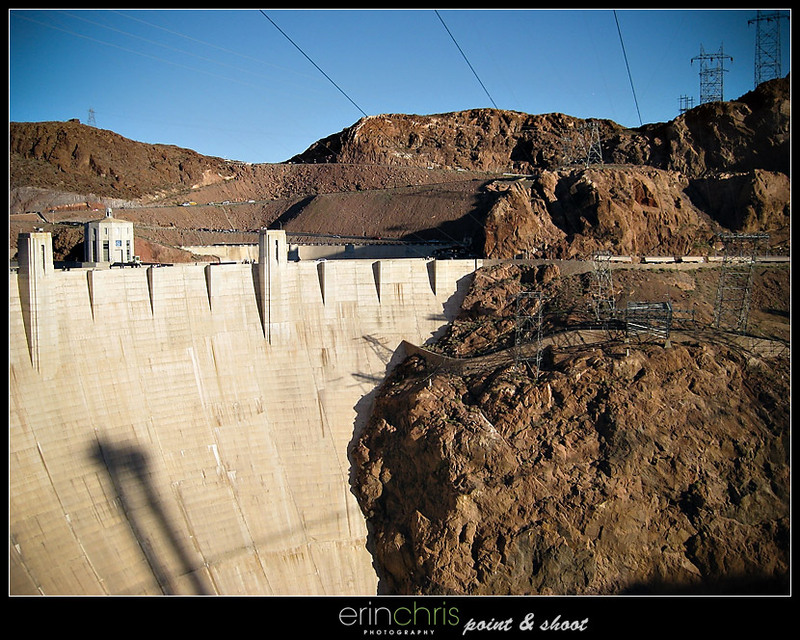 The tour guide said there has been a drought, and you can definitely see that the water line is lower than normal. This was our chance to become the typical tourists for a week, with our point and shoot camera always ready. There were always tons of people surrounding us, but it was a lot of fun. More photos are coming soon. Great pictures. Makes me feel like I have been on vacation. Love this post, full of amazing shots from your trip! 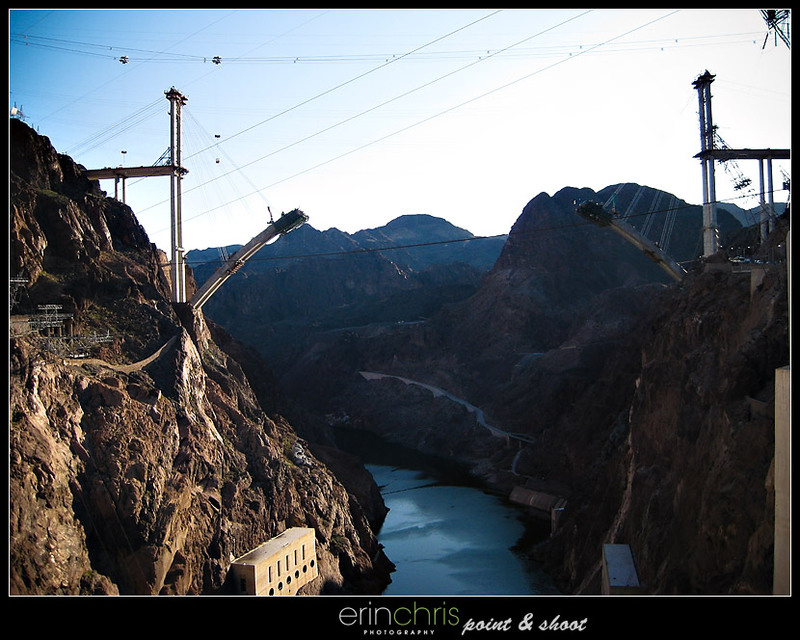 Love the Hoover Dam and can't wait to go back. Great images!